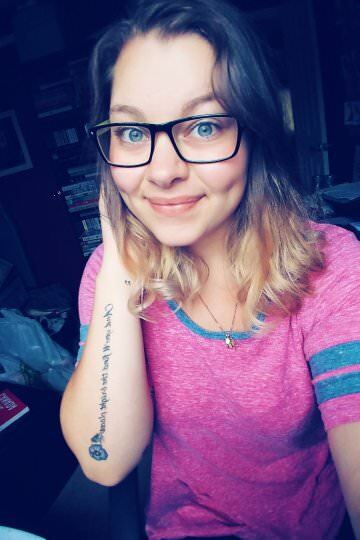 Elly Blake is honestly so incredibly sweet, and literally just like us when it comes to fandoms, and newly released YA books! I actually didn't know, but she loves owls (Which is so cool!) and I just so happened to have a book beau decorated with owls! Coincidence? I think not!! Alright, so why don't we get to the juicy stuff, am I right?! Q. Were you a reader before you were a writer? And do you prefer reading or writing now? A. Yes, I was a reader before I began writing. When I was nine and was reading Narnia. I didn't start writing until I was 30, but I've always dreamed about writing since I was a teenager, but never had the courage to. I definitely prefer reading over writing. Writing involves a lot of self doubt [among other things]. Q. I loved the concept of fire and ice! What was your idea behind it? A. Not to sound totally cliche, but it was actually in a dream I had. It was about a girl of fire power and a king of an icy heart. Definitely some inspiration from The Last Airbender. Q. E-Book, Paperback, or Hardcover? Q. Advice to new writers, and the hardest thing about writing? Biggest would be that you're capable of more than you realize. If you have a passion, then do it and don't wait until you feel you're good enough. Let yourself be heard. Perseverance and wanting to learn. Take breaks from your writing. I was listening to a workshop once that says you have to be obsessed with the work. The hardest thing about writing is the lack of confidence, and the anxiety that comes with it. You should definitely celebrate your own success. So when you've finished a chapter, or more, reward yourself with something small...a drink, chocolate, or even just watching TV. Q. What draws you to the characters in your novel? A. There's a part of Ruby that's like me. Not bravery, but her emotions. She has this huge power. Connecting the emotion to the power, and being curious and wanting to learn. When it comes to Arcus, someone actually asked me if I wanted to have him described like this [meaning his looks], and I really did! Q. 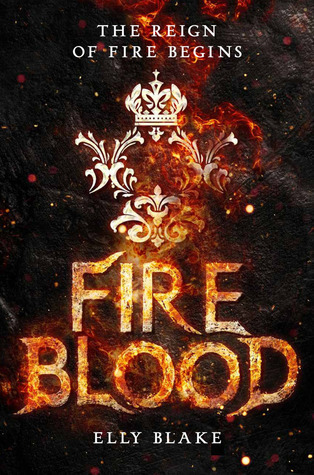 Anything you can tell us about Fireblood? A. Basically it shows the aftermath and how unfriendly they are and explores more of Ruby's past. New characters [that I think are kind of important] will pop up as well. A. Sometimes I get inspired by a story or show where I want things to go differently. I tend to people watch [not as much though] but definitely a day dreamer. Q. As someone who has trouble really loving novels from this genre, I was really compelled to it. What would you say makes your story unique? A. Accessible fantasy. I call it "World Building Lite" because I don't tend to have a lengthy world building history at the very beginning of the novel. That's more of my preference, but I know many authors who would rather have a full description of this world for readers. Q. What or who made you decide to write or become a writer? Q. There were certain scenes that were pretty intense...did you feel those emotions while writing them? A. Totally! When writing scenes between Arcus and Ruby mostly. When I get notes about feedback, for certain scenes, I get really protective, and if it's not exactly something that I want to hear, it sometimes hurts, but I totally get it! So I definitely get invested in those scenes. Q. What's your favourite "SHIP" from the books you've read? Q. Fun facts about yourself? A. Umm...something interesting? I work part time at a library...*GOALS* I have three kids, so writing is my hobby. 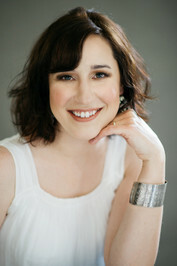 I wrote in secret for a while with TRW (Toronto Romance Writers). I didn't tell anyone (Except my immediate family) until I had book two. I definitely got some brainstorming help from a few people I trust, but I tend to keep it to myself. Q. Anything in the works right now? Q. Three words to describe yourself? A. Definitely sensitive...my husband would probably say I am resilient and I think curious. I really like to learn! Q. If you could be any character (Within your book or not) that had powers, who would you be? A. Ouu....I wouldn't want to read minds, so that's off right there. Hmm...I think I would want to be Fix It Felix from Wreck It Ralph. If I could go around the world and fix things? That would be cool! Q. What is currently on your TBR right now? A. Wow too many to even count! It's a never ending pile of books to read! Q. If you could collaborate with any author, who would it be any why? 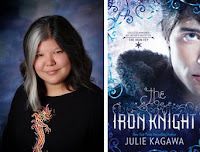 A. Julie Kagawa! I love her Iron Fae series! 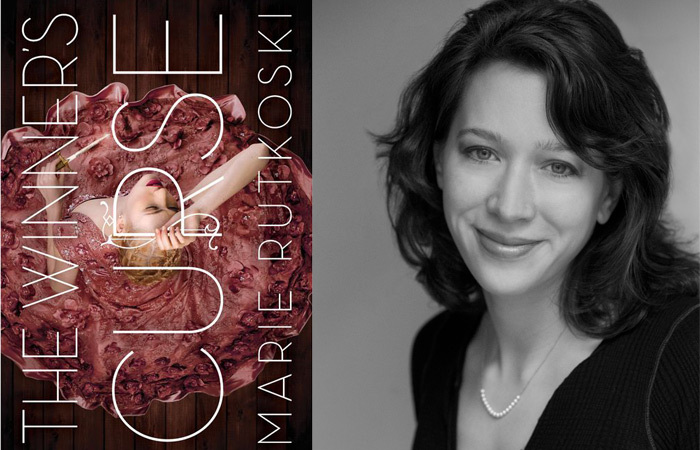 I would also want to write with Marie Rutokoski who wrote the Winners Trilogy. OMG I can't believe you've actually interviewed Elly blake! 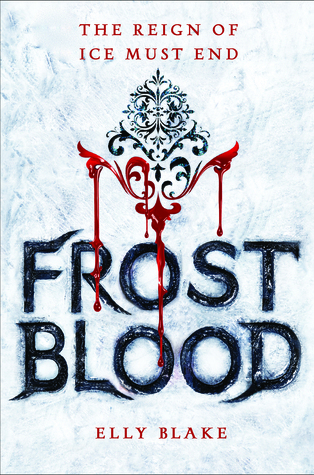 I absolutely adore Frost Blood and I can't wait for the next book in the series! Your blogs are great btw! Aww thank you so much!! It was so amazing to get the chance to interview her! So down to earth and incredibly kind! Thank you so much! I am always looking for ways to help other future writers such as myself when it comes to creating and publishing novels. I find it helps in the process of writing!